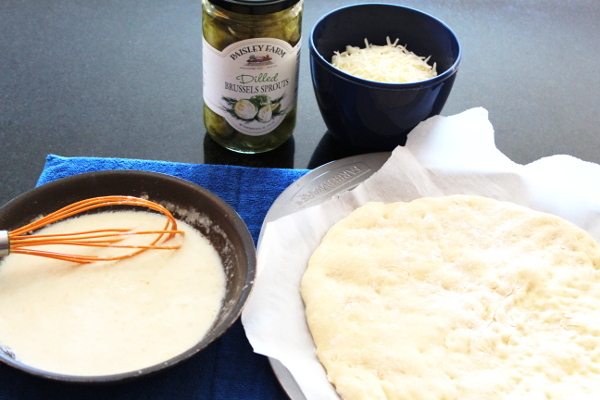 Looking for a simple pizza recipe that isn’t simple on flavor? 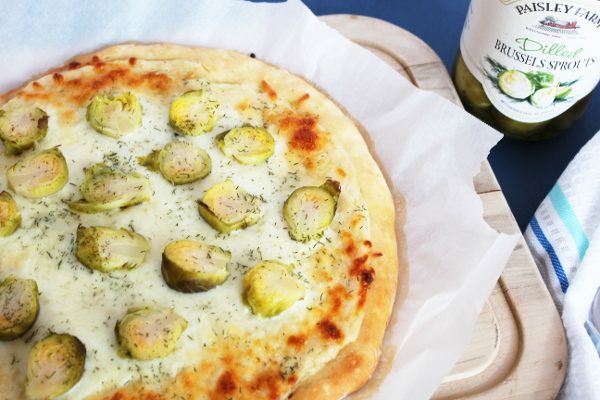 Dilled Brussels Sprouts Pizza has a creamy garlic sauce, lots of cheese and is topped with dilled vegetables. Perfect for when you are looking for a slice of something different. *Affiliate links are included in this post. Please read my Discloser Policy. I received Paisley Farm Food products complimentary but all opinions stated in this post are my own. 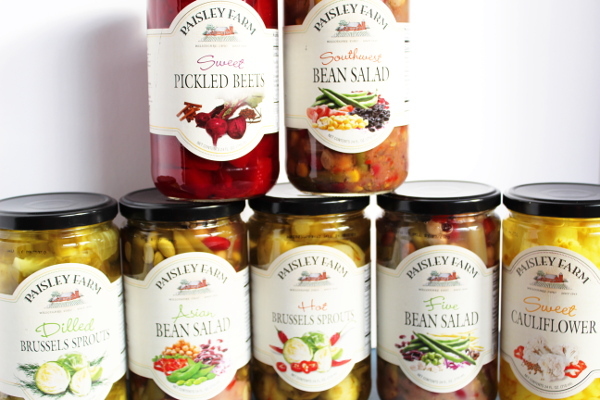 For more information about Paisley Farm visit their site. I’ve been seeing pickle pizza all over social media lately. So when I got these great jars of ready-to-serve vegetables from Paisley Farm, I knew I had to try my own take on dill pizza! This pizza turned out so good! It would make a great holiday party appetizer, a snack while watching Christmas movies or a great addition to a New Year’s Eve pizza buffet. When I made this I decided to go with a nice, light garlic sauce. It worked out to perfection! Red tomato sauce, Hot Brussels Sprouts, and mozzarella cheese. An Asian inspired sauce (get the recipe here), Asian Bean Salad, and cheddar cheese. Chunky salsa, Southwest Bean Salad, and pepper jack cheese. Next, I made the garlic sauce to go on top of the pizza crust. In a small saucepan melt the butter over medium heat. Whisk in the minced garlic then sauté for 30 seconds. To the butter, add the 1 Tbs flour a little at the time, constantly whisking the butter. Finally, whisk in the milk to thin out the mixture then let thicken to a sauce. Turn off the heat. 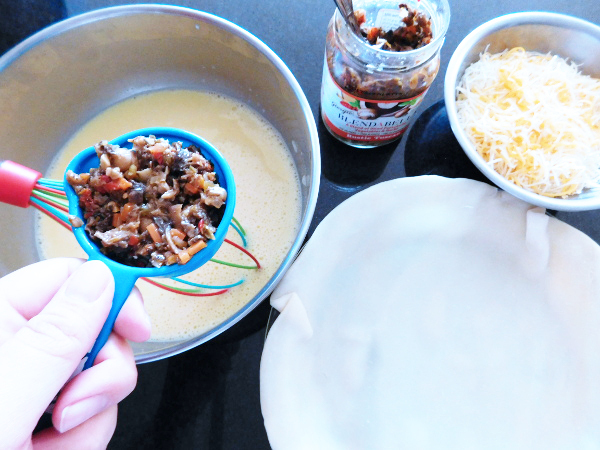 Top the prepared pizza crust with the sauce. Add the cheese. 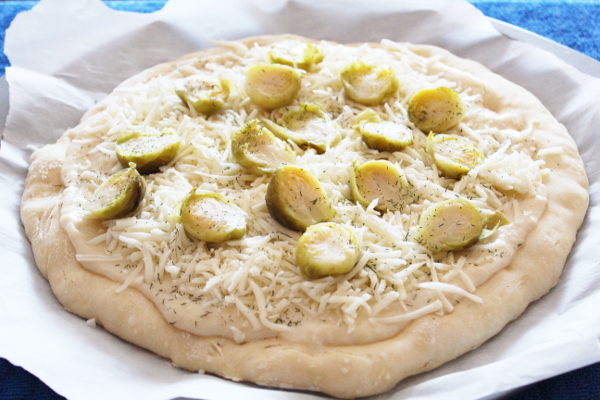 Finally, slice the Dilled Brussels Sprouts and add to the top of the pizza and sprinkle dill weed over the top of the pizza. Bake the pizza for 18-20 minutes. Slice into 8 slices. 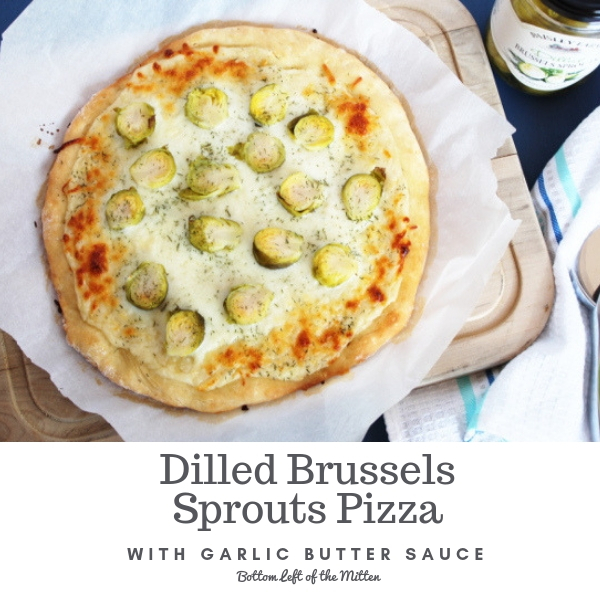 Dilled Brussels Sprouts Pizza has a creamy garlic sauce, gooey cheese, and the best part is the Dilled Brussels Sprouts on the top. Preheat the oven to 375 degrees and prepare the pizza crust according to package directions or your favorite pizza crust recipe. 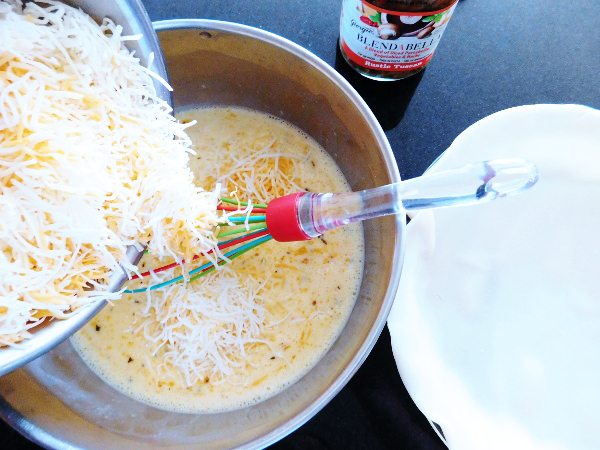 Whisk in the milk to thin out the mixture then let thicken to a sauce. Turn off the heat. 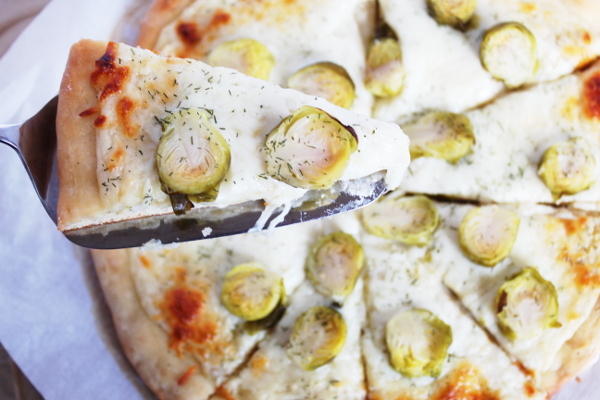 Slice the Dilled Brussels Sprouts and add to the top of the pizza and sprinkle dill weed over the top of the pizza. Bake the pizza for 18-20 minutes. Slice into 8 slices. Enjoy! This Hawaiian Pizza is the perfect combination of salty and sweet. 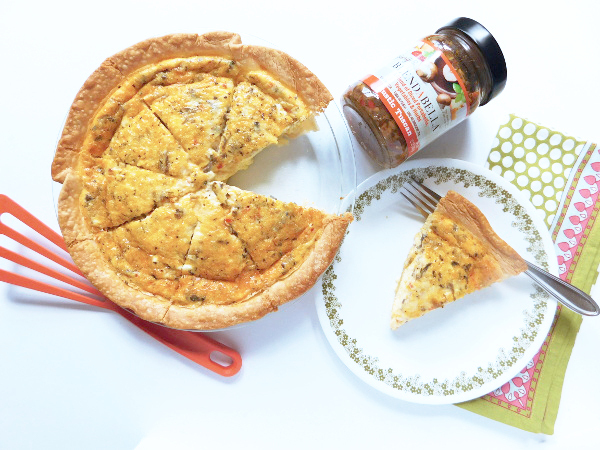 Whip up a quick pizza crust and this Hawaiian pizza recipe comes together in a flash. 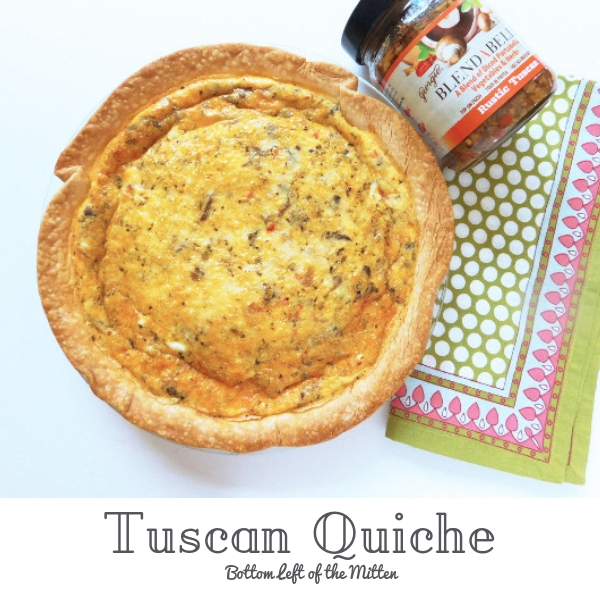 The ultimate treat for pizza night! So long time, no see from me here in the bottom left of the mitten. This is the first official Mitten Movie Night of fall because I haven’t celebrated one on the blog since the middle of July. Like almost everyone the transition from summertime fun to school, sports, and general running around get you to here in October before you know it. So let’s get this movie night kicked off! Tonight I am making a favorite, pizza. HAWAIIAN PIZZA to be precise with lots of ham, red onion and THICK SLICES OF PINEAPPLE. This combination of toppings are as intriguing as the type of beer I’m pairing it with. What movie pairs well with pizza and beer? I recommend I Think We’re Alone Now. This was a good movie (the end could have been a little more clear) but if you are a fan of apocalyptic genres then this one is for you. Plus, Peter Dinklage is in it and I have a hard time passing on his movies. He’s is so good in everything from comedy to drama. What beer pairs well with Hawaiian Pizza? The beer: Spiteful Brewing, Working for the Weekend Double IPA. I originally picked this up when we were visiting friends in Chicago. The art on the can was amazing and my husband loves Double IPA’s, so I grabbed them up. Are Double IPA’s hard to pair with food? According to many of the websites that I frequent for food and beer pairings-yes. The consensus is that it’s too heavy and ‘fights’ with the flavors in most foods. While I am just starting to enjoy IPA’s my husband loves them. After asking his opinion he disagreed and therefore I felt like I had a green light and he even gave me a suggestion of where to start, pizza. Pizza goes with everything he said! I am not disagreeing with that so off to the kitchen I went to make this simple Hawaiian Pizza that did indeed pair perfectly with this Double IPA from Spiteful Brewing. Forever with my trusty Jiffy pizza crust, I decided that a thick crust was my go-to. For this pizza, I used 3 packages Jiffy pizza crust boxes plus 1-1/2 cup lukewarm water. Add to a bowl and stir to combine until there are no chunks. Cover the bowl with a towel and let rise for 20-30 minutes. Using floured hands take the dough out of the bowl and spread the crust onto a 9-inch pie pan. Place the crust into the oven for 8-10 minutes. Since the crust is a great way to make sure the middle is not raw. Take out of the oven and cover with the pizza sauce. Add the cheese, chopped ham, sliced red onions and whole slices of pineapple. Place back into the oven and cook for 20 minutes. Once the crust has risen make sure to have flour nearby. Using flour on hands and on top of the crust ensures that the dough doesn’t get too sticky. Don’t skip the pre-cooking of the crust. It’s important so that you don’t have a cooked top but a raw center. Prefer smaller bites of pineapple? Use pineapple chunks instead of slices. Get pizza night going with this easy Hawaiian pizza recipe. It's a great combination of salty from the ham and sweet from the pineapple. Add 3 boxes of Jiffy pizza crust to a bowl with 1-1/2 cups of lukewarm water. Stir to combine until there are no chunks. Once the crust has risen to make sure to have flour nearby. Using flour on hands and on top of the crust ensures that the dough doesn't get too sticky. Don't skip the pre-cooking of the crust. It's important so that you don't have a cooked top but a raw center.